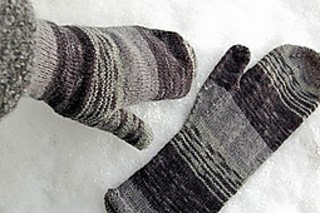 These classic mittens are knit using Best Foot Forward, a new sock yarn designed by Kristin Nicholas. Watching the bold colors develop their stripes and patterns makes the knitting go fast. The all-purl section after the cast on automatically creates a rolled cuff. For an exactly matched pair, begin the second mitten by drawing out whatever length of yarn is necessary to bring you to the same color sequence that began your first mitten. 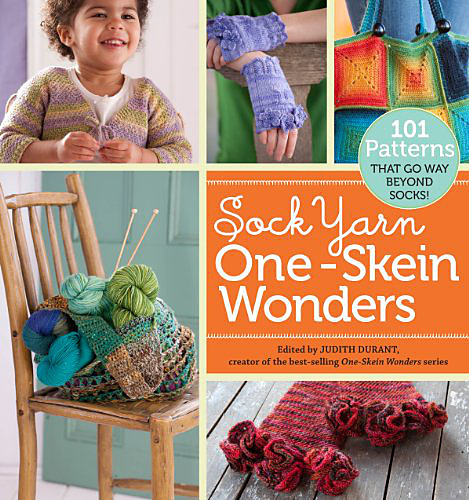 You’ll find that you can match up your stripes to determine where to begin the gusset and top shaping.